Ask Heidi Aspinwall about young adults and their desire to live in Christian service and she speaks passionately and without hesitation about the ministry she has been immersed in for close to two decades. As the new director of Young Adult Missional Movement for the Florida Conference and a professional with her share of accolades, including a President's Volunteer Service Award, she shares stories with the conviction of someone who knows that the right mission program can change young adult lives. After all, what was to be a one-year mission in Miami changed hers. “One year turned into two years. It turned into three years. It's turned into 18 years,” said Aspinwall, who left a corporate position in Tennessee to go to Miami those many years ago. 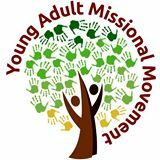 The Young Adult Missional Movement (YAMM) is a one-year program for 18- to 30-year-olds who will share a home/intentional living community while working in service throughout Florida. The initial class of 12 missional interns will volunteer with churches and other agencies making a difference in St. Petersburg, Orlando and Jacksonville. The program launches in mid-August, and more locations will be organized after this pilot year. She highlighted the desire of young adults to serve cross-culturally as well as in their home communities. YAMM is designed to be diverse, working with people from all ethnic backgrounds. Aspinwall joined the Florida Conference in May after 12 years with DOOR (Discovering Opportunities for Outreach and Reflection), a faith-based network of urban service learning programs that young adults can participate in for time periods ranging from a weekend to a year. Aspinwall held positions that included Miami city director, national director for volunteers and associate executive director. “Heidi gets things done. She is organized, creative and motivated. I was always confident that she would complete any task she was assigned and that it would be done well,” wrote Robert Gray, director of youth ministries for First UMC, Coral Gables, in a letter recommending Aspinwall for the YAMM position. Recommendations like these helped Aspinwall secure the directorship, said Rev. Clarke Campbell-Evans, director of Missional Engagement for the Florida Conference, who will be overseeing the new young adult movement. 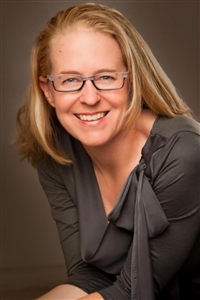 “Heidi’s vast experience of working with young adult missional programs with the Presbyterians and Mennonites over the last 18 years was the biggest stand-out,” Campbell-Evans said in an email to Florida Conference Connection. Aspinwall said she sensed the need for a program like the Young Adult Missional Movement while she was working for DOOR. “My work with DOOR had me placing young adults coming through the Presbyterian and Mennonite churches in service programs,” Aspinwall recalled. “Most of my placements were United Methodist-related, and so for years I've been wondering where are the United Methodist young adults to serve in these Methodist-related positions? Aspinwall also gets excited about understanding the different ways young adults engage with the church and society and passionately shares questions and insights from generational research. She points out that many Methodist young adults already are engaged in community projects and supportive living situations without the structure provided by YAMM, and she wants to make sure that those efforts are recognized, honored and supported. Organizers are taking advantage of what Aspinwall has described as the overwhelming feeling from conference members that this is the perfect time for an initiative like YAMM to be launched.